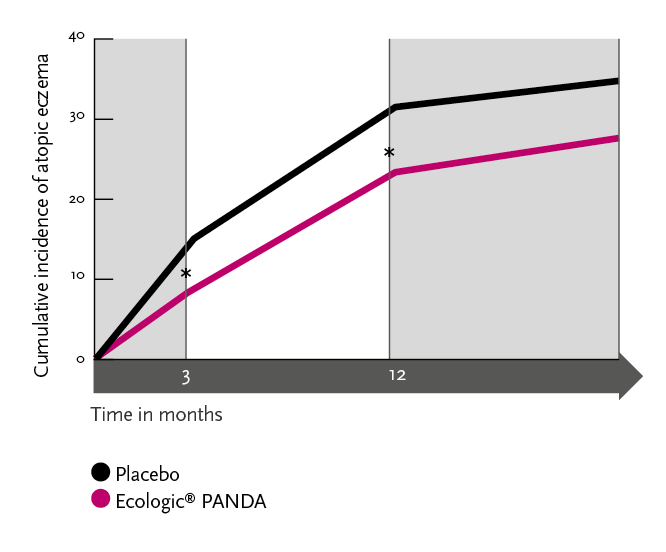 Figure 1: Ecologic® PANDA is a multispecies probiotic able to modulate the gut microbiota and hereby improve the intestinal barrier function (level 2) and stimulate the development of the immune system (level 3) to prevent eczema development. A potential approach to influence the neonatal development of microbiota and immune system is early administration of specifically selected probiotic strains. Figure 2: The past decades have shown an enormous increase in the prevalence of allergic diseases in Western societies. 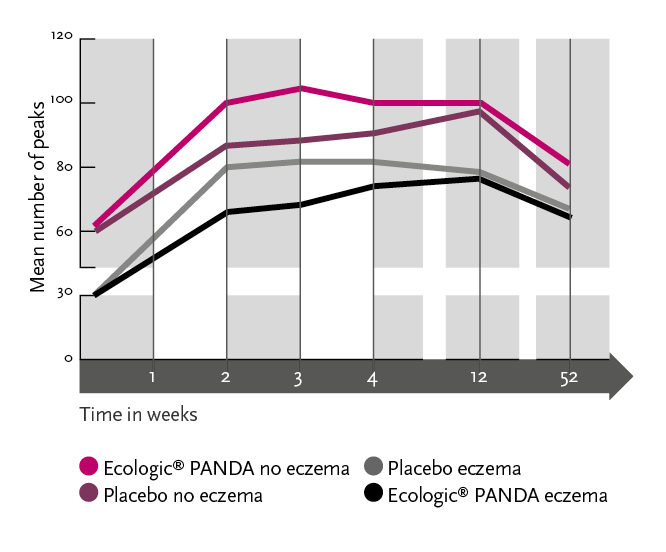 Figure 4: Ecologic® PANDA shows a significant reduction of eczema development. Niers L.E. et al. Identification of strong interleukin-10 inducing lactic acid bacteria which down-regulate T helper type 2 cytokines. Clin Exp Allergy. 2005;35(11):1481-1489. Niers L.E. et al. Selection of probiotic bacteria for prevention of allergic diseases: immunomodulation of neonatal dendritic cells. Clin Exp Immunol. 2007;149(2):344-352. Niers L.E. et al. The effects of selected probiotic strains on the development of eczema (the PandA study). Allergy. 2009;64(9):1349-1358. Niers L.E. Probiotic bacteria for prevention of atopic disease. Design and application. PhD thesis. November 2009. 1. Niers L.E. et al. Identification of strong interleukin-10 inducing lactic acid bacteria which down-regulate T helper type 2 cytokines. Clin Exp Allergy. 2005;35(11):1481-1489. 2. Niers L.E. et al. Selection of probiotic bacteria for prevention of allergic diseases: immunomodulation of neonatal dendritic cells. Clin Exp Immunol. 2007;149(2):344-352. 4. Holgate S.T. et al. Improving the management of atopic disease. Arch Dis Child. 2005;90:826-831. 5. Palmer C. et al. 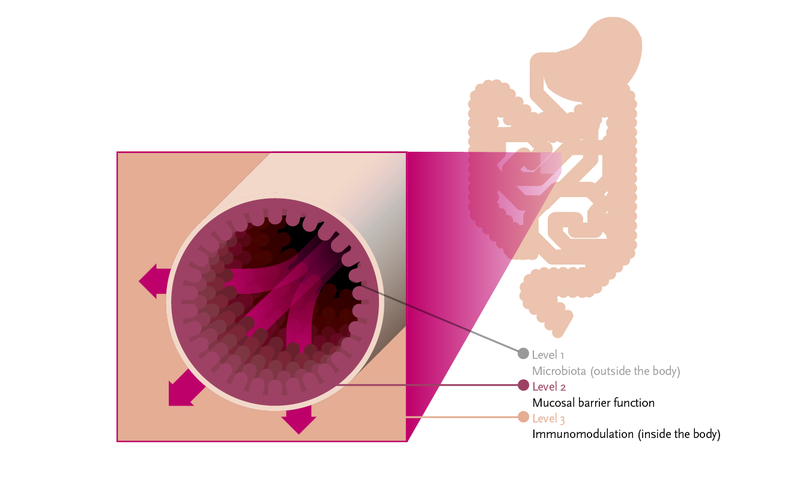 Development of the human infant intestinal microbiota. PLoS Biol. 2007;5(7):e117. 6. Bjorksten B. et al. Allergy development and the intestinal microflora during the first year of life. J Allergy Clin Immunol. 2001;108(4):516-520. 7. Niers L.E. et al. The effects of selected probiotic strains on the development of eczema (the PandA study). Allergy. 2009;64(9):1349-1358. 8. Niers L.E. Probiotic bacteria for prevention of atopic disease. Design and application. Proefschrift. November 2009.